The BBC has today announced it will be investing more than £11m additional funding into services in BBC Northern Ireland over the next three years to benefit local audiences. The money will enable BBC Northern Ireland to transform its digital output across news, sport and other areas, produce more drama, factual and comedy content on BBC One Northern Ireland and boost its service to younger audiences: something that was demanded by the former BBC Trust Northern Ireland audience panel last month, who after asking young people found that young people thought that the closure of BBC Three as a broadcast channel in 2016, and its reinvention online, had "exacerbated their view that the BBC offers little for their age group". 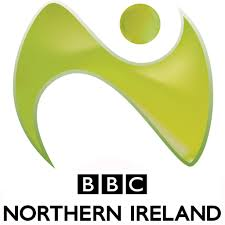 An enhanced digital service from BBC News NI, with improved news coverage throughout the day and weekends. Greater coverage of local sport online, including live streaming of events across a range of sports. A 50 per cent increase in commissioning spend on local television content - meaning more drama, comedy and factual programmes and events on BBC One Northern Ireland. New digital content and services for younger audiences and new digital investment in radio. New content to mark major historical anniversaries in Northern Ireland. Today's news follows similar announcements from the corporation about increasing investment in Scotland and Wales, which will see an extra BBC TV channel launch in Scotland next year and a new iPlayer channel for Wales being introduced. The BBC also today renewed its successful partnership agreement with Northern Ireland Screen, which sees them continue to work together to invest in developing an internationally competitive screen industry in Northern Ireland. Among the successes of the first agreement, which was signed in 2015, were dramas Line Of Duty and The Fall, children’s programming including Millie Inbetween and Pablo, an animated CBeebies series about a five-year-old boy on the autistic spectrum; and the trainee scheme Aim High which seeks to provide transformative opportunities for new talent in the industry.